Large Black Plastic hinged Bracelet Box. Jewellery display gift chain, bracelet or watch box with foam pad insert. 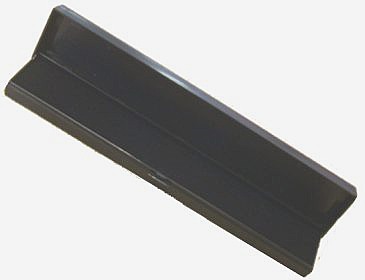 Length 215mm plastic box for watch, bracelets, necklaces or jewellery chains display and packaging. Black hard plastic necklace or bracelet gift boxes with hinged lid and display foam insert.